Thanks to funding from a network of research and educational institutions in Maine, Bates will receive more than $459,000 this year to support biomedical research. The grant will pay for two faculty projects involving advanced genomic research, as well as other programs and equipment. Bates is one of 13 partner institutions across Maine that share money from the IDeA Networks of Biomedical Research Excellence program, aka INBRE. With similar programs across the U.S., INBRE is funded by the National Institute of General Medical Sciences, one of the National Institutes of Health. 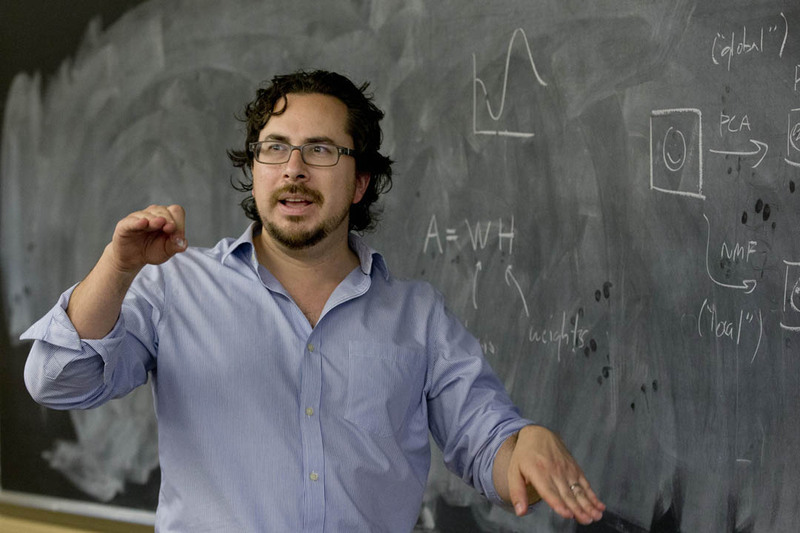 In Maine, INBRE supports projects in biology, biochemistry and neuroscience that focus on functional genomics, a branch of molecular biology that seeks to use the massive amounts of data produced by genomic projects to understand how genes function. Assistant professors Larissa Williams, a biologist, and Jason Castro, a neuroscientist, are the Bates research grant recipients. In a competitive process, their projects were awarded $92,000 apiece annually for five years. All told, INBRE funding for Bates over the next five years could total nearly $2.3 million. Using zebrafish as her test subjects, Williams is investigating a protein known as Nfe2 and its role in protecting embryonic fish against the harmful effects of chemicals that create reactive oxygen species, better known as oxidants. Essential to life in small amounts, oxidants wreak biological havoc in larger quantities. Williams’ lab is one of only three that have published research on the gene responsible for the production of Nfe2 in zebrafish. The gene is found in humans and other animals as well as fish. “We’re really going to be breaking scientific ground by looking into the effect of the gene,” she says. Using fish that have been rendered unable to produce the protein, she’ll test the effects of oxidative stress-causing compounds like TBHQ, a common food preservative; the herbicide diquat; and ethanol, better known as beverage alcohol. In addition to expenses like student stipends and material goods like zebrafish and chemicals, INBRE funds will defray the considerable costs of sequencing the genomes of Williams’ zebrafish subjects to understand the effects of disabling the Nfe2 gene. 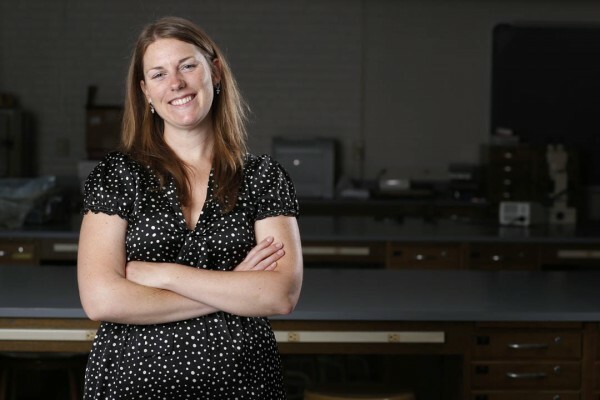 Her student assistants, says Williams, will be “getting cutting-edge training in molecular biology and bioinformatics — essentially big biological data sets. It’s the way biology is going, so students will get great training in working with and interpreting these data sets. Castro studies the olfactory bulb, the part of the brain that directly receives information about odors from the nose. In this project, he seeks to understand the organization of that structure, specifically whether the bulb is divided into circuit modules that can be identified through genomic data mining. Those data-mining studies will be supplemented with physiological and anatomical research to determine whether, or how, the olfactory bulb modules are distinguished from one another physiologically and in their neurological connectivity. Castro predicts that the tools and techniques used in the project will be valuable for studying circuit structures throughout the brain, including pathologies underlying psychiatric disorders. INBRE programs operate in 23 states or U.S. territories. Bates joined Maine’s INBRE program in 2001, the year it was created. INBRE is important to the growth and stability of the scientific establishment in states that receive comparatively low amounts of NIH funding. The program pays for resources that might otherwise be out of reach — for instance, the data sets that both Castro and Williams will draw on for their research. “The INBRE grants really allow us to train up-and-coming scientists and create new knowledge in an era where other sources of federal science funding are at a low level,” says Williams. In addition to supporting individual faculty research at Bates, INBRE provides institutional support, with an emphasis on student research and travel: INBRE funds six or seven faculty-student research grants and two summer fellowships for undergraduates each year. 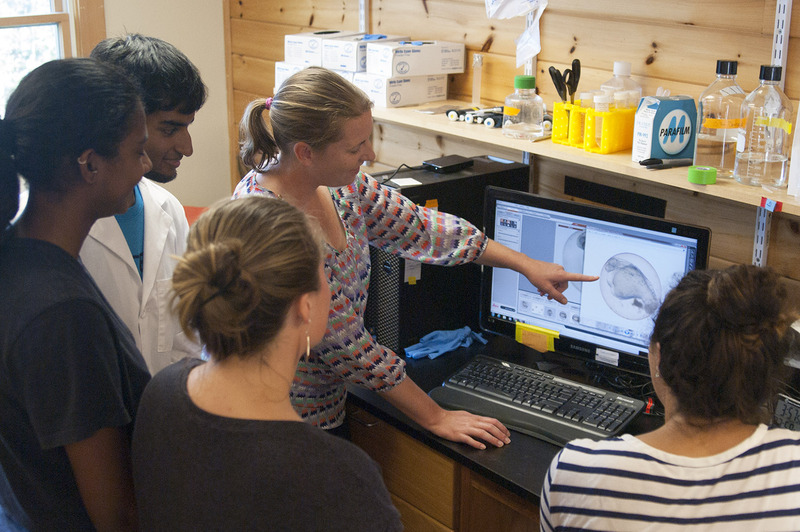 INBRE helped build the Imaging and Computing Center at Bates, and pays for Bates students who take two-week laboratory courses each spring during Short Term at the Mount Desert Island Biological Laboratory, the lead institution for INBRE in Maine. It also supports collaborations between partner institutions, such as a molecular biology and bio-imaging course Bates is undertaking later this summer with Southern Maine Community College. Since INBRE’s inception, it has brought $50 million in federal funds into Maine, improved research infrastructure and trained more than 2,000 Maine students in biomedical research techniques, according to the MDIBL. INBRE grants have led to the creation of more than 100 new high-paying Maine jobs in research and education. In addition to Bates and MDIBL, the member institutions are a second major research facility, The Jackson Laboratory; the University of Maine, its University of Maine Honors College, University of Maine System campuses at Farmington, Fort Kent, Machias and Presque Isle; Southern Maine Community College; Colby and Bowdoin colleges and the College of the Atlantic.